Categories: Las Vegas Hot Pick of the Day. LAS VEGAS, Nev. (Jan. 16, 2019)–Here’s how you can play two of the best courses in the western United States for one price. In Vegas, the golf options are plentiful with more than 50 courses in but this deal could help you choose these two gems, each designed by the U.S. Open Doctor, Rees Jones. The Double Play special at the Rees Jones designed Rio Secco and Cascata courses could be what you are looking for. Interested? We thought so. 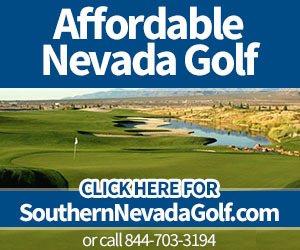 –By Bill Bowman, Las Vegas Golf Insider staff. The special includes one round at each of the two Rees Jones layouts (within a five-day period) for one money-saving price. The off-season rate (which is now until the end of January 2019 and runs again June 17-Aug. 25 and also Nov. 18 through the end of 2019) is $299. In peak seasons (Feb. 1-June 18 and again Sept. 25-Nov. 17), the cost is $499. The deal is not in effect Aug. 26-Sept. 24 because of overseeding overlaps with the two courses. Players must use a caddy at Cascata with a $50 tip per bag recommended. Some restrictions apply and there are a few blackout dates but for the most part this special is good seven days a week at whatever times golfers want to tee it up. For the price, players will take on two impressive layouts regularly voted as ‘Top’ or ‘Must-play’ layouts by various golf and travel magazines. Rio Secco features risk/reward par-5 holes and the par 3s are some of the most challenging in Las Vegas. Cascata, is home to 18 visually stunning holes that are a shotmaker’s dream. Both courses are filled with dramatic elevation changes, deep-blue water features and brilliant bunkering. Multiple sets of tees let players of every ability enjoy both layouts. 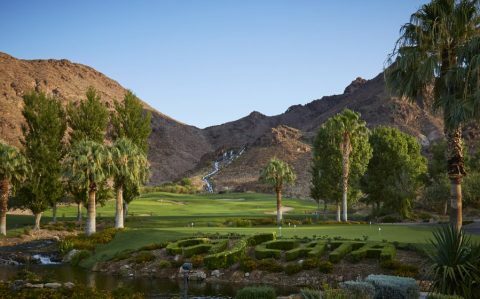 Sports Illustrated once called Cascata golf’s hidden treasure and Rio Secco has hosted the Wendy’s 3-Tour Challenge, Tiger Jam and the Natalie Gulbis Charity Classic, among other big events. It’s also the official home of the Butch Harmon School of Golf. The twofer is a nice way to play Vegas Golf. 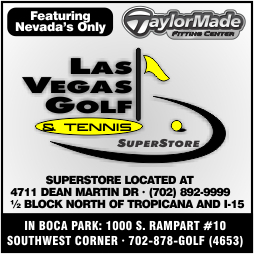 “Once you have value and convenience factor, it also doesn’t hurt to have two of the best golf courses in Las Vegas,” Blais says.